Gaudí finished this office-residence complex just before taking on the Parc Güell. 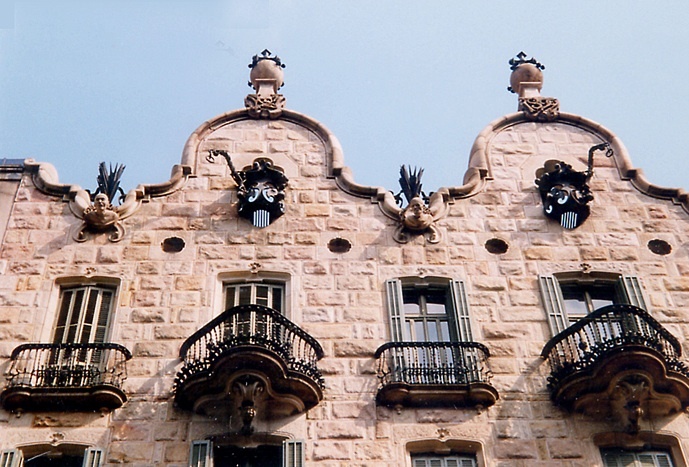 Casa Calvet (1898–1900) is a sturdy and, for him, surprisingly symmetrical stone and iron glance back to the Baroque. 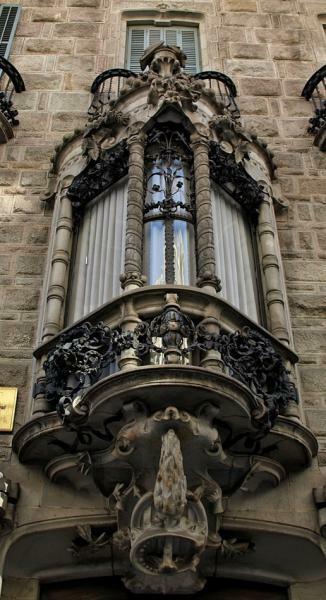 But even here, in his most conservative building, details show his hand – the ironwork on the façade and in the vestibule, the two crosses on the cornice, the lavish first-floor tribuna (the large bay window common in Eixample houses, providing both a ringside seat over the street and the showcase for family display) and the whimsical plate shaped like a bedbug under the knocker. The columns on the facade are another little joke; Calvet was a textile manufacturer, and the columns are meant to look like stacks of bobbins. Oddly enough, the Casa Calvet was built like a medieval merchant's palace: business offices on the ground floor, and the owner's residence above it. The building won the Ajuntament’s coveted prize as the best building of 1900 – the only award Gaudí ever won. For decades it contained one of the city’s finest restaurants, but it closed in February 2018, although another might open in its place. Stay tuned.